- May 1st, 2019 - May 3rd, 2019. Offices will be closed April 22nd, 2019 and May 1st-3rd, 2019. We would like to inform you about the extended turnaround during the upcoming holiday season. We ask you to diligently plan your ordering process to make sure your products get to you on time. 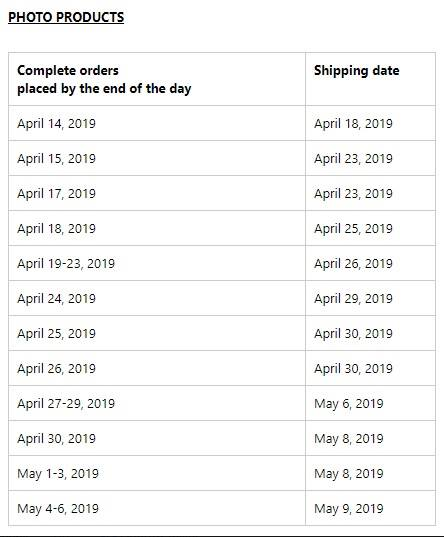 All orders placed from April 15th, 2019 will have an extended turnaround time. More details in the table.